Accidentally deleted your emails in Outlook 2010? Don't worry, you will be glad to know that it's possible to recover it. There are 3 ways to recover deleted emails in Outlook 2010. Even if the first two methods doesn't work for you, you can still recover them via a professional data recovery software - iMyFone AnyRecover. It supports all versions of Outlook, including Outlook 2010/2013/2016, etc. This is one of the easiest methods to recover a deleted Outlook email. When you delete an email from your Outlook mailbox, it moves to the Deleted Items or Trash folder. So, the first thing you should do in order to recover that email is navigate to those folders and see if the email is there. If you find the email you are looking for in one of those folder, then recovering/restoring it a pretty straightforward process. Step 1. Open Outlook 2010. Navigate to Folder, you'll see the Recover Deleted Items option. Click on it. Step 2. Find and select the email that you wish to recover and then click the Recover Selected Items to proceed. Your selected email will be recovered to your mailbox. If you cannot find your deleted email in Deleted Items folder or Trash folder, then there is still one other place where your deleted Outlook email might still be stored. That place is the Outlook server. 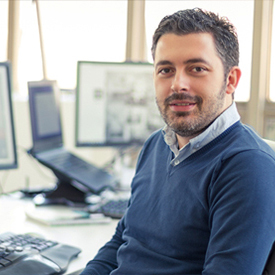 Outlook provides you the way to recover emails that are stored on its server. You will need to navigate to Recoverable Items folder in order to recover your deleted email. Step 1. 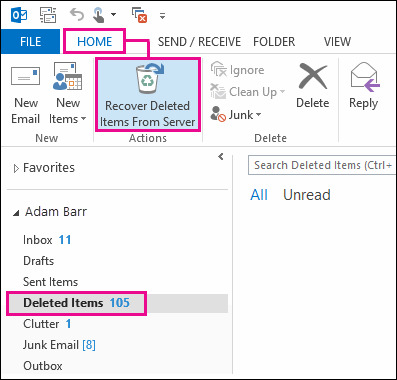 In Outlook, navigate to your email folder list, then find and click the Deleted Items option. If you cannot find the Deleted Items folder, then look for the Trash folder. Step 2. 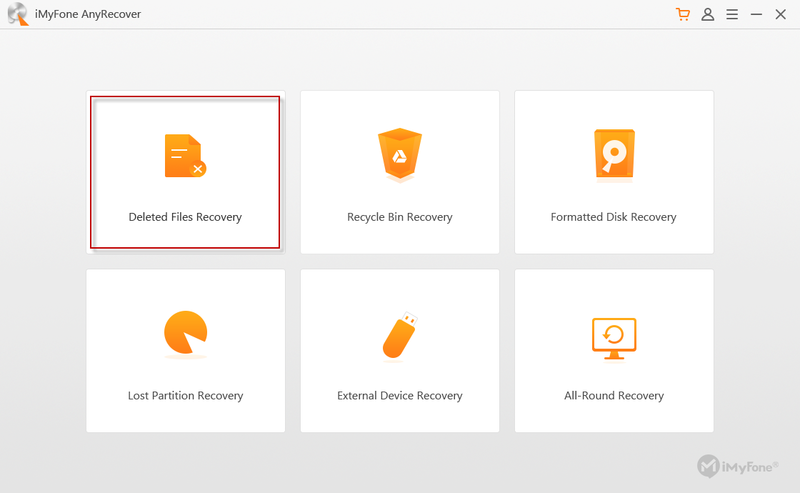 Once there, click on the Home option located at the top-left corner of the interface and then click on Recover Deleted Items from Server option. Step 3. Next, find and select the email that you wish to recover and then click Restore Select Items option. After that, click OK to proceed. Your selected Outlook email will be restored to its original location in your mailbox. If you don't see the Recover Deleted Items from Server option, then it means your account doesn't support recovering emails from server. If that is the case, you will need to recover your email via a data recovery software. If you cannot recover your deleted Outlook email from Deleted Items/Trash folder as well as Recover Deleted Items from Server option, then don't worry; you can still recover the email via a professional data recovery software. iMyFone AnyRecover is a recommended choice in this regard. AnyRecover is equipped with all the necessary features and modes to help you recover virtually all types of files, including emails. Its user-friendly interface makes it easier to take advantage of its various features and recover files quickly. Recover all emails in the easiest and the most efficient way possible. You can even recover those emails that have been removed from recycle bin or mail trash. Recover emails from a variety of popular email clients, including Outlook, Mac Mail, Outlook Express, Foxmail, etc. No matter what type of email account you have (e.g. Gmail, Hotmail, Yahoo, Outlook, Mail AOL, etc. ), AnyRecover allows you to retrieve lost/deleted emails effectively. You can recover emails along with their attachments, notes, tasks, calendars, contacts, journals, appointments, etc. Fully compatible with all Outlook versions, Windows and Mac operating systems, and external storage mediums such as hard drives, SD cards, USB flash drives, etc. Step 1. Launch iMyFone AnyRecover on your computer. Step 2. Once the software is launched, click on Deleted Files Recovery or All-Round Recovery mode depending on your preferences. Step 3. Next navigate to the location where your email was stored and also the file type that you wish to recover. For recovering a deleted email, click on Others and then click Scan to proceed. Step 4. Once the scanning process is complete, preview and select the email that you wish to recover and then click the Recover button to start the recovery process.